Kundalini refers to the energy that often rests at the base of your spine, and the practice of Kundalini Yoga (as taught by Yogi Bhajan) uses posture to bring more flexibility to the spine and body, meditation to bring more stillness to the mind, breath to re-balance our systems and mantra to safely stimulate that energy to be released, and bring you more health and vitality. Sometimes relaxing, sometimes a bit challenging, sometimes downright kooky – this inclusive technology of yoga brings about shifts within that you may not even be aware of. During a class you are encouraged, and reminded, to bring your awareness into your body – and make the practice your own, working within your own limits – whatever they are in the moment. 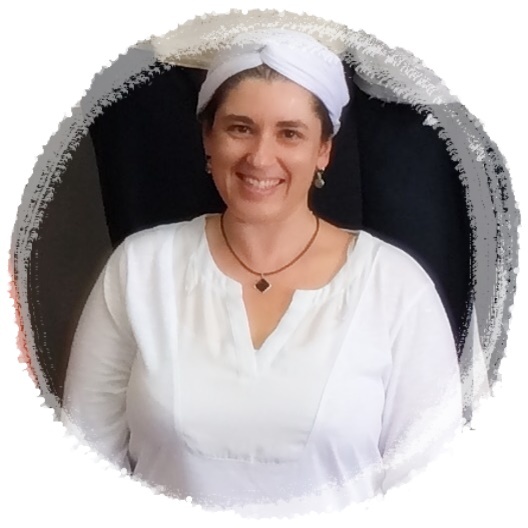 Mardi has been practicing Kundalini Yoga since first discovering it over fifteen years ago. In 2016 she took the plunge and completed the training to be able to share it with her community – and loves it! Designed for those with lesser physical capabilities (or those that love a gentle yoga class), Easy yoga alternates weekly between yoga sets practiced on the floor, and practicing yoga on a chair. Still following the structure of a Kundalini Yoga class, but done slower with more attention on listening to our body in each moment. Recommended for: Students who are new to yoga and would like a gentle class, and students that have some physical restrictions (please seek medical advice prior to attending). Students who have trouble getting up and down from the floor are encouraged to try Chair yoga alternate weeks first. Need to slow down and de-stress? This class is for you. Designed to follow the structure of a Kundalini Yoga class, but practiced as a slow gentle evening class to let all your worries go. Focusing on the breath and releasing tension in the body. Recommended for: Beginners and experienced. Anyone who is looking to make self care part of their weekly schedule. This class is practiced on the floor. Classes aimed to get your energy moving. Focusing on the spine, and moving the Kundalini energy. Classes may include: dynamic movement, strengthening postures, energising breath techniques, and meditation. A morning class to wake your body and get moving. Recommended for: Beginners and intermediate students with good physical ability. This class may contain floor, seated and standing postures. See below for FAQ’s about classes…. In Mardi’s Kundalini Yoga sessions she will be dressed all in white, and have her head covered. Kundalini Yoga, also referred to as the yoga of awareness, was brought to the West back in the late 60’s by Yogi Bhajan. It is a comprehensive collection of yoga technology that includes posture, breath, mantra and meditation to safely stimulate our Kundalini energy for greater health and wellbeing. HOW IS KUNDALINI YOGA PRACTICED? There are many ways to practice Kundalini yoga – and generally a typical class will include ‘tuning in’ with the Adi Mantra chant (Ong Namo Guru Dev Namo) followed by some breath practice, a ‘kriya’ (which is like a prescribed set of body postures and exercises), deep relaxation, and meditation, ending with a projected healing meditation (May the longtime sun – song). You’ll usually find a Kundalini Yoga instructor dressed all in white (including a head covering) and they will direct the class but won’t single you out, or move around the room and adjust you into a posture. During class you are encouraged to work with your body’s uniqueness, and make the postures your own, closing your eyes when you’re comfortable with the exercise, and turning your awareness and attention into your body. DO I HAVE TO HAVE EXPERIENCE IN YOGA? Not at all. Most of Mardi MAY’s classes are designed with beginners in mind. First time and experienced yogi’s are welcome to attend. Some classes are gentle relaxation classes (great for people that have some minor physical restrictions), while some are a bit more physical to increase your energy. Mardi MAY also offers chair yoga some weeks – for those that struggle getting down on the floor and sitting cross legged. Chairs are also there if you’d prefer to meditate on a chair. Please see class calendar below for more info. No you can attend whenever you like when classes are offered. However, it’s great motivation and learning to attend weekly group yoga sessions. There is also a great sharing of energy when doing yoga in a group, rather than home alone. It’s also great for expanding your flexibility – and decreasing stress. HOW LONG ARE THE SESSIONS & HOW MUCH DOES IT COST? Depending on venue sessions go for approximately 50-75 mins and prices vary depending on venue costs, differing programs, and overheads but range from $ contributions for community classes to $15/$10 conc. See class links for more info and specific costs. I do have some props (mats and blankets) available, but I recommend you bring your own – so they can soak up your ‘yoga vibes’. Bring your yoga mat, blanket for relaxation, cushion for meditation if you wish, and some water. You should also take payment, an open mind, and willingness to give it a go – even when it seems a bit kooky :).